Read Houston Read school volunteers donate an hour of their time each week. They are trained to conduct one-on-one 25-minute sessions with two first-graders that will include reading a story, sharing a hands-on activity related to that story, and listening to the child read. Training will be provided, and you will be using a proven system, provided in partnership with the Children’s Museum of Houston, that will complement what the pupil is learning in class under HISD’s new Literacy By 3 movement. You can share reading with a youngster without ever leaving your desk through Read Houston Read’s partnership with Innovations in Learning and their TutorMate program. All it takes is a telephone, Internet connection and 30 minutes of your time. First-graders and their tutors read stories and play activities that encourage fluency, comprehension, phonics, and spelling skills. Read to a child. It’s one of the most important things you can do to positively impact a child's future. Yet for hundreds of HISD first- and second-graders, there is no one to read to them and no one to listen to them read. There is no one to reinforce what they are learning in the classroom. You don’t have to stop there. Encourage family, friends, and neighbors to join you in helping avert Houston’s literacy crisis – one book at a time. You have the power to build an important relationship with a student that will make a lasting impression on their self-esteem, ability to learn, and ultimate success. 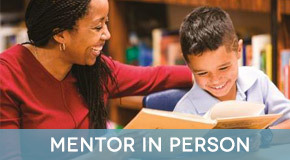 Become a Read Houston Read mentor. It will change your life. Click here to see a list of schools that are participating in the Read Houston Read program for the 2018-2019 school year. Alternatively, you may view Read Houston Read school locations in a full screen map. For more information on Houston’s literacy crisis, please visit the Barbara Bush Houston Literacy Foundation website. "The joy of reading opens up your mind to new experiences. It was a pleasure!" "They are the greatest asset and all they need is love and support!" "It’s been an amazing experience, and I have really, really loved doing it." "I saw [my student's] improvement and what a good feeling! Love this program." "It was awesome seeing our enthusiastic students as they joined us for a morning read." "I look forward to volunteering Tuesdays and listening to them laugh out loud!" 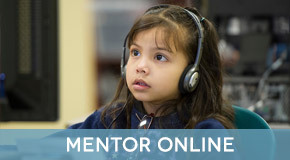 "I volunteer with Read Houston Read from my desk [virtual tutoring]. It's easy!" "Hola Ashley y Neftali de Berry! Me gustó mucho leer con ustedes!" "I wanted to EMPOWER our youth!! What an awesome experience!" "I just felt like I wanted to make an impact in at least one child's life."